After his failed joke, the man barely speaks to anyone the rest of the time he is there. The shame got stuck or the man got stuck in the shame. The awkward incident prevented him from socializing and feeling connected with other people at the party. After the party ended and the man headed home, he noticed that he was very lonely. He was so caught up in shame, that it was all he was sensing along with some bodily pain. All his attention and energy went to trying to regulate himself in this feeling. So, what can he do? What can a therapist do to help a person to move forward? What resources and strategies can a person get from Bodynamic in this case? As humans we seek contact. Our quality of life depends on how well we can socialize. Being liked by our friends, belonging to a group to our family is not only nice, it gives us a feeling of safety—together we have survived. These feelings lay deep in us. Shame and shyness serves as a functional point to regulate how we are together. do I leave the sense of myself to stay connected with others instead and as a result lose myself. If we have been shamed in our childhood and our actions were personalized, so not that just our actions were wrong but we as a person were made wrong, most likely we will not even sense the shyness. Instead, we may go directly to the feeling of being wrong or feeling that the world is wrong, and we may either start bullying our selves (that inner critical voice we all hear putting ourselves down, attacking us for our misdeeds) or we may lash out at others, and at the world. Shame in this instance is a defence mechanism and Bodynamic does not want to break defence mechanisms nor make them disappear. Our defence mechanisms have helped us to survive. If we can acknowledge and make space for them, we have an opportunity to get out of old stuck patterns and create as well as develop new ways of being and acting. To understand the system of Bodynamic, it is important to keep in mind that Lisbeth Marcher created the practice, which became a theory. It is unique in that the aim is to honour the defence mechanism and to create more options a person has to choose from. Another aspect is that, in Bodynamic, therapists work with the physical body. The Body Encyclopaedia, written by Lisbeth Marcher and Sonja Fich, describes how the different muscles are connected to various themes that arise in therapy sessions. Bodynamic has developed therapeutic approaches both verbally and bodily. In this practice, we work with seven main emotions: joy, sadness, fear, anger, disgust, sexuality/sensuality, and shame. We acknowledge that our emotions have a bodily reaction – chemical and neurological—and that they come with an impulse to act. The more we can stay with the actual emotion, the more we can take responsibility for our choices and thereby our actions. going into the sense of being wrong, saying inappropriate things. A way to think about shame is that the feeling tells the mind: “that I need to do something to correct some behaviour I feel ashamed of”. 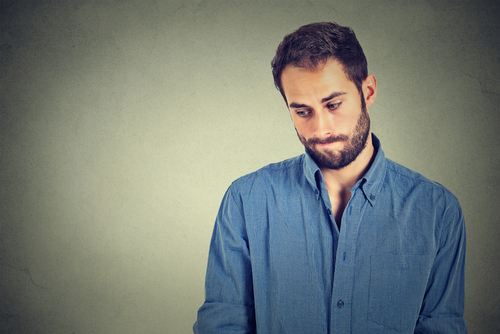 In that way, shame can be an extremely helpful reaction—it becomes a signal so that we can stop and reflect. We are aware of something we did. And after evaluating we understand that maybe what we did was not right. It takes courage to experience shame and stay in contact while it may feel very unpleasant. In the therapy room, as therapists, we often tend to back away when the client becomes shy, perhaps a normal response in our relationships outside the therapy room as well. In Bodynamic, we believe it is much more beneficial for the process to address the reaction, for instance saying to the client, “I see that your cheeks are red now and my guess is you are a little shy now, is that true?” To stay with the shy moment or feeling of shame can become a resource that can open the door to be more authentic, and to be more present with all the aspects of who we are. You can be more you. being able to balance different roles. Bodynamic has specific ways of working with these themes that can be helpful in addressing issues around shame. The goal is that, in the end, the client feels courageous enough, strong and connected enough to go through the field of discomfort and gather all the diamonds that may be there. In our upcoming workshop at the 16th European Congress for Body Psychotherapy, September 6-9, 2018, in Berlin, Germany we will present the basic theory and understanding of how shame influence our lives, what tools you can use to work with the emotion and we will present physical exercises related to this theme. 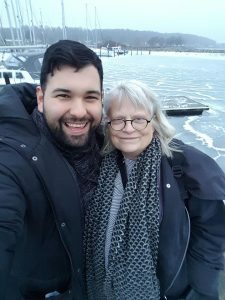 Hadi is a third generation Bodynamic therapist and thanks his grandmother Lisbeth Marcher for founding this dynamic and precise practice. He is a co-owner, board member and international teacher of Bodynamic. Lene is a senior Bodynamic teacher. She teaches worldwide at all levels in Bodynamic International. She has published and written several Bodynamic manuals and revised many others used in educational programs. She is a board member and a member of the planning team in Bodynamic, a member of the Danish Psychotherapist Association since 2001 and has been a member of the European Association for Body Psychotherapy since 2012.